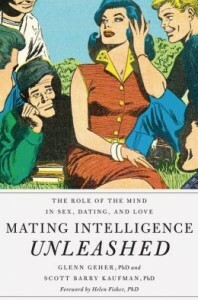 Announcing Mating Intelligence Unleashed – recently published by Oxford University Press. This book is the result of years of research by Scott and myself, and we hope that it will help serve as a guide for future work on the interface of mating and intelligence – and will help get students in the behavioral sciences excited about this approach to understanding human nature. We designed this book, which has a provocative and inspirational foreword written by Rutgers’ Helen Fisher, to serve as both a sophisticated introduction to the field of intimate relationships for a general audience – as well as a summary of work in this field for students at both the undergraduate and graduate levels in the social, biological, and behavioral sciences. The book has nearly 1,000 scholarly references – largely to cutting-edge research in this area of inquiry – so it should be beneficial for advanced scholars in the field as well. Of course, feel free to post a link to this promotional page or forward this information to others who may be interested in the psychology of human mating and the nature of human intelligence – and don’t hesitate to contact me (or Scott!) with any questions. 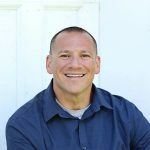 Several blogs posted in Newspapers around the nation via Amy Alkon’s syndicated column which mentions Mating Intelligence Unleashed. Example: Houston Press. New York Post article by Dana Schuster providing 11 Valentine’s season tips based on Mating Intelligence Unleashsed.